I’m so so happy to announce another big update for Social Pug, which I’m pretty sure you are going to enjoy just as much as I do! Before we jump to the cool new stuff though, I wish to thank each and every customer that took the time to offer their sincere feedback in the last few months. Without your support, Social Pug would not be where it is today, and for this I am extremely grateful! Thank you! The floating sidebar buttons never had labels, labels being the text displayed on the button, such as “Facebook” or “Share me”. I didn’t see a particular reason for supporting labels for these buttons, even though other social media plugins had this feature. I believe I was also influenced by how other plugins integrated these labels. Most implementations I saw were displaying them by animating the button’s width until the label managed to fit in. That just didn’t appeal to me, it seemed off from a user experience perspective, so I put the idea in the drawer and forgot about it. Until recently, when a few support tickets requesting the labels made me put my gears in motion and come up with a solution. I opted for the simplest and most user friendly one… speech bubbles with the label text when hovering over the buttons. Don’t worry! The mobile sticky share tool is not gone. Rather it has changed into a more complex tool, which is the sticky bar. This change aims to bring the same awesome mobile floating social share buttons experience also to desktop devices. On mobile, the sticky bar looks exactly the same as it did before. On desktop on the other hand it stretches only the width of your article’s content, making it look like part of the content. Leveraging the power of Pinterest is one of the best social media tactics you can pursue in order to grow your reach and your website visits, especially if you have image rich content on your blog or website. Social Pug has several tools to help you set up different Pinterest growth strategies. 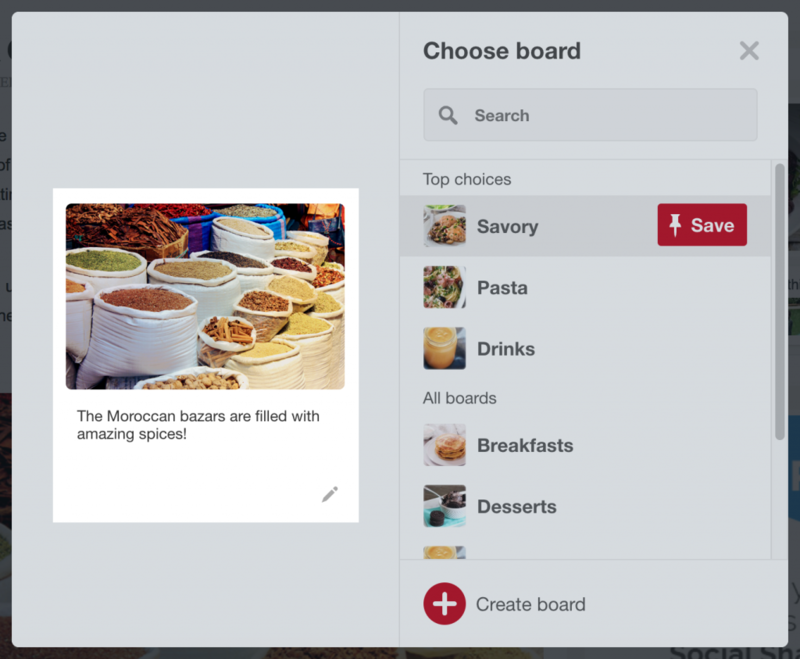 One such tool is the Pinterest button, that you can set to appear when a user hovers over an image. This tool is fantastically simple, as it offers a way for your users to Pin that very image with just two clicks. To top this feature off, Social Pug now has a way to customize the Pin description of the image that is being shared. You can customize the Pin description for each and every image that you add in your content. Behind the scenes, the new Pinterest tool adds a new parameter to the image’s HTML code, namely the “data-pin-description” one, which you can easily modify from the Text tab of the WordPress editor. The best part is that the custom Pinterest image description works flawlessly with Chrome’s Pinterest extension, not just Social Pug’s built-in tools. As you may be well aware of, Twitter has removed tweet counts support for some time now. Twitter’s decision was a big blow in the social media sphere, as they were the first ones to approach this new trend, with Google+ and LinkedIn following shortly after. Luckily the community was not ready to give up on tweet counts and several 3rd party services appeared shortly after, which tracked tweets and offered access to retrieve tweet counts. One such service was NewShareCounts, which enabled social media WordPress plugins, such as Social Pug, to continue to offer support for tweet counts. Unfortunately, NewShareCounts has closed and Social Pug no longer integrates with them. Luckily, your tweet counts are safe! Starting with version 2.4, Social Pug integrates with OpenShareCount, a service which provides a similar functionality to NewShareCounts. The only thing you will have to do to maintain tweet counts, is to register your website on their platform. This update was a difficult, yet a fun one to develop. I truly hope you enjoy the new features! Looking forward to hearing your thoughts on this new release, on Twitter or on the support channel.